These Color-Code File Folders-Printed are ideal for organizing your customer files and keeping information easily accessible. These file folders are 14-point, single ply, full tab folders with tab extension for easy VIN identification. 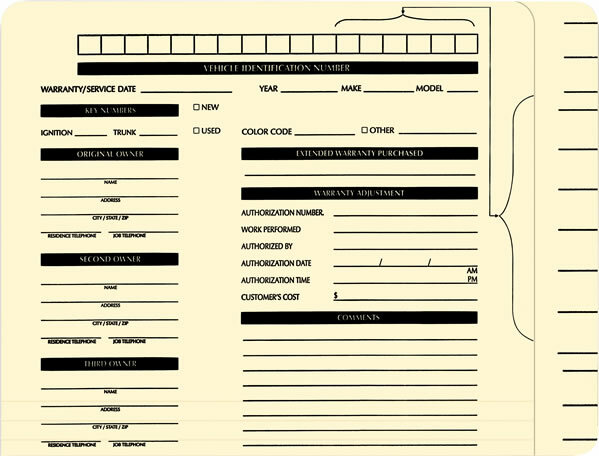 There are printed label placement lines for easy lable application and the folders are available with standard customer information section or plain front.